Roughly 4.5 billion years ago, scientists theorize that Earth experienced a massive impact with a Mars-sized object (named Theia). 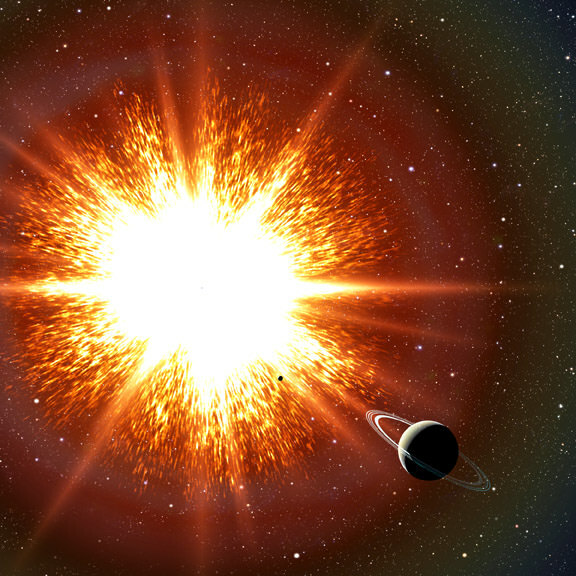 In accordance with the Giant Impact Hypothesis, this collision placed a considerable amount of debris in orbit, which eventually coalesced to form the Moon. And while the Moon has remained Earth’s only natural satellite since then, astronomers believe that Earth occasionally shares its orbit with “mini-moons”. These are essentially small and fast-moving asteroids that largely avoid detection, with only one having been observed to date. But according to a new study by an international team of scientists, the development of instruments like the Large Synoptic Survey Telescope (LSST) could allow for their detection and study. This, in turn, will present astronomers and asteroid miners with considerable opportunities. The study which details their findings recently appeared in the Frontiers in Astronomy and Space Sciences under the title “Earth’s Minimoons: Opportunities for Science and Technology“. The study was led by Robert Jedicke, a researcher from the University of Hawaii at Manoa, and included members from the Southwest Research Institute (SwRI), the University of Washington, the Luleå University of Technology, the University of Helsinki, and the Universidad Rey Juan Carlos. As a specialist in Solar System bodies, Jedicke has spent his career studying the orbit and size distributions of asteroid populations – including Main Belt and Near Earth Objects (NEOs), Centaurs, Trans-Neptunian Objects (TNOs), comets, and interstellar objects. For the sake of their study, Jedicke and his colleagues focused on objects known as temporarily-captured orbiters (TCO) – aka. mini-moons. These are essentially small rocky bodies – thought to measure up to 1-2 meters (3.3 to 6.6 feet) in diameter – that are temporarily gravitationally bound to the Earth-Moon system. This population of objects also includes temporarily-captured flybys (TCFs), asteroids that fly by Earth and make at least one revolution of the planet before escaping orbit or entering our atmosphere. This object, which measured a few meters in diameter, was discovered in 2006 by the Catalina Sky Survey (CSS), a NASA-funded project supported by the Near Earth Object Observation Program (NEOO) that is dedicated to discovering and tracking Near-Earth Asteroids (NEAs). Despite improvements over the past decade in ground-based telescopes and detectors, no other TCOs have been detected since. Artist rendering of the LSST observatory (foreground) atop Cerro Pachón in Chile. Credit: Large Synoptic Survey Telescope Project Office. After reviewing the last ten years of mini-moon research, Jedicke and colleagues concluded that existing technology is only capable of detecting these small, fast moving objects by chance. This is likely to change, according to Jedicke and his colleagues, thanks to the advent of the Large Synoptic Survey Telescope (LSST), a wide-field telescope that is currently under construction in Chile. Once complete, the LSST will spend the ten years investigating the mysteries of dark matter and dark energy, detecting transient events (e.g. novae, supernovae, gamma ray bursts, gravitational lensings, etc. ), mapping the structure of the Milky Way, and mapping small objects in the Solar System. Using its advanced optics and data processing techniques, the LSST is expected to increase the number of cataloged NEAs and Kuiper Belt Objects (KBOs) by a factor of 10-100. When it is completed in a few years, it is hoped that the LSST will confirm the existence of mini-moons and help track their orbits around Earth. This will be possible thanks to the telescope’s primary mirror (which measures 8.4 meters (27 feet) across) and its 3200 megapixel camera – which has a tremendous field of view. As Jedicke explained, the telescope will be able to cover the entire night sky more than once a week and collect light from faint objects. As Jedicke points out, the ability to conduct low-cost missions to objects that share Earth’s orbit will also be of interest to the burgeoning asteroid mining industry. Beyond that, they also offer the possibility of increasing humanity’s presence in space. One night 400 years ago, Galileo pointed his 2 inch telescope at Jupiter and spotted 3 of its moons. On subsequent nights, he spotted another, and saw one of the moons disappear behind Jupiter. With those simple observations, he propelled human understanding onto a path it still travels. Galileo’s observations set off a revolution in astronomy. Prior to his observations of Jupiter’s moons, the prevailing belief was that the entire Universe rotated around the Earth, which lay at the center of everything. That’s a delightfully childish viewpoint, in retrospect, but it was dogma at the time. Until Galileo’s telescope, this Earth-centric viewpoint, called Aristotelian cosmology, made sense. To all appearances, we were at the center of the action. Which just goes to show you how wrong we can be. But once it became clear that Jupiter had other bodies orbiting it, our cherished position at the center of the Universe was doomed. Galileo’s observations were an enormous challenge to our understanding of ourselves at the time, and to the authorities at the time. He was forced to recant what he had seen, and he was put under house arrest. But he never really backed down from the observations he made with his 2 inch telescope. How could he? Now, of course, there isn’t so much hostility towards people with telescopes. As time went on, larger and more powerful telescopes were built, and we’ve gotten used to our understanding going through tumultuous changes. We expect it, even anticipate it. In our current times, Super Telescopes rule the day, and their sizes are measured in meters, not inches. And when new observations challenge our understanding of things, we cluster around out of curiosity, and try to work our way through it. We don’t condemn the results and order scientists to keep quiet. The first of the Super Telescopes, as far as most of us are concerned, is the Hubble Space Telescope. From its perch in Low Earth Orbit (LEO), the Hubble has changed our understanding of the Universe on numerous fronts. With its cameras, and the steady stream of mesmerizing images those cameras deliver, a whole generation of people have been exposed to the beauty and mystery of the cosmos. Hubble has gazed at everything, from our close companion the Moon, all the way to galaxies billions of light years away. It’s spotted a comet breaking apart and crashing into Jupiter, dust storms on Mars, and regions of energetic star-birth in other galaxies. 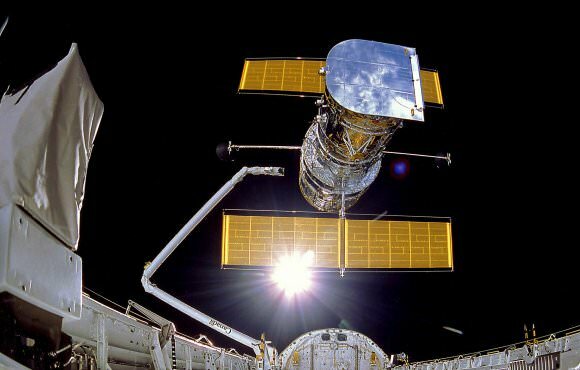 But Hubble’s time may be coming to an end soon, and other Super Telescopes are on the way. What is the nature of Dark Matter and Dark Energy? How are they distributed in the Universe and what role do they play? Are there other planets like Earth, and solar systems like ours? Are there other habitable worlds? Are we alone or is there other life somewhere? How do planets, solar systems, and galaxies form and evolve? Some of the Super Telescopes will be on Earth, some will be in space. Some have enormous mirrors made up of individual, computer-controlled segments. The Thirty Meter Telescope has almost 500 of these segments, while the European Extremely Large Telescope has almost 800 of them. Following a different design, the Giant Magellan Telescope has only seven segments, but each one is over 8 meters in diameter, and each one weighs in at a whopping 20 tons of glass each. This artistic bird’s-eye view shows the dome of the ESO European Extremely Large Telescope (E-ELT) in all its glory, on top of the Chilean Cerro Armazones. The telescope is currently under construction and its first light is targeted for 2024. Some of the Super Telescopes see in UV or Infrared, while others can see in visible light. Some see in several spectrums. The most futuristic of them all, the Large Ultra-Violet, Optical, and Infrared Surveyor (LUVOIR), will be a massive space telescope situated a million-and-a-half kilometers away, with a 16 meter segmented mirror that dwarfs that of the Hubble, at a mere 2.4 meters. Some of the Super Telescopes will discern the finest distant details, while another, the Large Synoptic Survey Telescope, will complete a ten-year survey of the entire available sky, repeatedly imaging the same area of sky over and over. The result will be a living, dynamic map of the sky showing change over time. That living map will be available to anyone with a computer and an internet connection. We’re in for exciting times when it comes to our understanding of the cosmos. We’ll be able to watch planets forming around young stars, glimpse the earliest ages of the Universe, and peer into the atmospheres of distant exoplanets looking for signs of life. We may even finally crack the code of Dark Matter and Dark Energy, and understand their role in the Universe. Along the way there will be surprises, of course. There always are, and it’s the unanticipated discoveries and observations that fuel our sense of intellectual adventure. The Super Telescopes are technological masterpieces. They couldn’t be built without the level of technology we have now, and in fact, the development of Super Telescopes help drives our technology forward. But they all have their roots in Galileo and his simple act of observing with a 2-inch telescope. That, and the curiosity about nature that inspired him. At the heart of the LSST is its enormous digital camera. It weighs over three tons, and the sensor is segmented in a similar way that other Super Telescopes have segmented mirrors. The LSST’s camera is made up of 189 segments, which together create a camera sensor about 2 ft. in diameter, behind a lens that is over 5 ft. in diameter. Each image that the LSST captures is 40 times larger than the full moon, and will measure 3.2 gigapixels. The camera will capture one of these wide-field images every 20 seconds, all night long. Every few nights, the LSST will give us an image of the entire available night sky, and it will do that for 10 years. The LSST will capture a vast, movie-like image of over 40 billion objects. This will range from distant, enormous galaxies all the way down to Potentially Hazardous Objects as small as 140 meters in diameter. There’s a whole other side to the LSST which is a little more challenging. We get the idea of an in-depth, moving, detailed image of the sky. That’s intuitively easy to engage with. But there’s another side, the data mining challenge. The whole endeavour will create an enormous amount of data. Over 15 terabytes will have to be processed every night. Over its 10 year lifespan, it will capture 60 petabytes of data. Once data is captured by the LSST, it will travel via two dedicated 40 GB lines to the Data Processing and Archive Center. That Center is a super-computing facility that will manage all the data and make it available to users. But when it comes to handling the data, that’s just the tip of the iceberg. The sheer amount of data created by the LSST is a challenge that the team behind it saw coming. They knew they would have to build the capacity of the scientific community in advance, in order to get the most out of the LSST. Contributing to our understanding Dark Energy and Dark Matter is a goal of all of the Super Telescopes. The LSST will map several billion galaxies through time and space. It will help us understand how Dark Energy behaves over time, and how Dark Matter affects the development of cosmic structure. The raw imaging power of the LSST will be a game-changer for mapping and cataloguing our Solar System. It’s thought that the LSST could detect between 60-90% of all potentially hazardous asteroids (PHAs) larger than 140 meters in diameter, as far away as the main asteroid belt. This will not only contribute to NASA’s goal of identifying threats to Earth posed by asteroids, but will help us understand how planets formed and how our Solar System evolved. The repeated imaging of the night sky, at great depth and with excellent image quality, should tell us a lot about supernovae, variable stars, and possible other events we haven’t even discovered yet. There are always surprising results whenever we build a new telescope or send a probe to a new destination. The LSST will probably be no different. The LSST will give us an unprecedented look at the Milky Way. It will survey over half of the sky, and will do so repeatedly. Hundreds of times, in fact. The end result will be an enormously detailed look at the motion of millions of stars in our galaxy. Perhaps the best part of the whole LSST project is that the all of the data will be available to everyone. Anyone with a computer and an internet connection will be able to access LSST’s movie of the Universe. It’s warm and fuzzy, to be sure, to have the results of large science endeavours like this available to anyone. But there’s more to it. The LSST team suspects that the majority of the discoveries resulting from its rich data will come from unaffiliated astronomers, students, and even amateurs. It was designed from the ground up in this way, and there will be no delay or proprietary barriers when it comes to public data access. In fact, Google has signed on as a partner with LSST because of the desire for public access to the data. We’ve seen what Google has done with Google Earth and Google Sky. What will they come up with for Google LSST? The Sloan Digital Sky Survey (SDSS), a kind of predecessor to the LSST, was modelled in the same way. All of its data was available to astronomers not affiliated with it, and out of over 6000 papers that refer to SDSS data, the large majority of them were published by astronomers not affiliated with SDSS. We’ll have to wait a while for all of this to come our way, though. First light for the LSST won’t be until 2021, and it will begin its 10 year run in 2022. At that time, be ready for a whole new look at our Universe. The LSST will be a game-changer. If you follow some of my other shows, like Astronomy Cast and the Weekly Space Hangout. Of course you do, what a ridiculous thing to say… “if”. Anyway, since you follow those other shows, you know I’m currently obsessed with an upcoming observatory called the Large Synoptic Survey Telescope. Obsessions are best when they’re shared. So today, I invite you to become as obsessed as I am about the LSST. In the past, astronomers focused on building bigger telescopes at more remote locations so they could peer more deeply into the past, to resolve the faintest objects, to see right to the edge of the observable Universe. But there’s a whole other dimension to the Universe: time. And by taking advantage of time, astronomers have made some of the most momentous discoveries in the history of astronomy. The Large Synoptic Survey Telescope is all about time. Watching the sky over and over, night after night, watching for anything that changes. First, let’s talk about some of the kinds of discoveries that can be made when you’re watching the sky for changes. Perhaps the best example of this is the Mira Variable. These are red giants at the very end of their stellar evolution, almost out of usable hydrogen to burn in their cores. As their stellar flame flickers out, the light pressure can no longer hold against the gravity pulling the star inward. The star compresses in on itself, raising the temperature and pressure, allowing more fusion. It flares up again, and brightens in our sky. Astronomers discovered that there’s a very specific relationship to the brightness and rate that this brightening happens. In other words, if you know how often a Mira variable flares up, you know how intrinsically bright it is. And if you know how bright it is, you can calculate how far away it is. Even in other galaxies. That’s what Edwin Hubble did when he surveyed Mira variables in other galaxies. He discovered that most galaxies are actually speeding away from us in all directions, leading to the theory of the Big Bang. Thanks to time, we understand that we life in an expanding Universe that originated from a single point, 13.8 billion years ago. Let me give you another example: the discovery of gamma ray bursts. In the 1960s, the US launched a group of satellites as part of the Vela Mission. They had no astronomical purpose, they were designed to watch for the specific gamma ray signature from an unauthorized nuclear weapons test. But instead of nuclear explosions, they detected massive blasts of gamma radiation coming from deep space. These blasts only last for a few seconds and then fade away, leaving a faint afterglow that also fades. We now know that gamma ray bursts mark the deaths of the largest stars in the Universe, and the formations of new black holes. Other gamma ray bursts signal the collisions of exotic stellar remnants, like neutron stars and white dwarfs. In 1930, Clyde Tombaugh compared pairs of photographic plates, switching back and forth over and over, looking for any object that moved position. This was how he discovered Pluto. In fact, this same technique is used by astronomers to find other dwarf planets, asteroids and comets to this day. Astronomers return again and again to galaxies in the night sky, looking for any that have a new star in them. This is a tell tale sign of a supernova, the explosion of a star much more massive than our Sun. Some of these supernovae allowed astronomers to discover dark energy, that the expansion of the Universe is accelerating. This is what time can help us discover. Now, on to the Large Synoptic Survey Telescope. The observatory is currently under construction in north-central Chile, where many of the world’s most powerful telescopes are located. Its main mirror is 8.4 meters across. Just for comparison, ESO’s Very Large Telescopes are 8.2 metres across. The Gemini Observatories are 8.1 metres across. The Keck Observatory is 10 metres wide. What I’m saying here, is that the LSST is plenty big. But that’s not its most important feature. LSST is fast. When I say fast, I’m saying this in the astronomical sense, which means that it can gather a lot of light over a wide area on the sky in a very short amount of time. While Keck, for example, can focus incredibly deeply at a tiny spot in the sky, LSST gulps light across a huge region of the sky. It’ll be able to see 3.5-degrees of the sky, every time it takes a picture. The Sun and the Moon are about 0.5-degrees across in the sky, so imagine a grid 7 moons across and 7 moons high. It’ll take a 15-second exposure every 20 seconds. In the amount of time you’ll spend watching this video, the LSST could have taken dozens of high resolution images of the sky. In fact, it’ll completely image the available sky every few nights. And then petabytes of data will be released onto the internet, available for astronomers to pore over. Want to find asteroids, just look through the LSST records. Want to know how fast the Universe is expanding, dig through the data. LSST is going to look everywhere and anywhere every couple of nights, and then provide this data to scientists to make discoveries. Assuming the construction isn’t delayed, the Large Synoptic Survey Telescope should see first light in 2019. Shortly after that, it’ll be disgorging mountains of astronomical data onto the internet. And shortly after that, I suspect, we’ll start to hear everything the Universe was doing when we weren’t watching before. Because now, thanks to LSST, we’ll be watching all the time. If aliens were heading towards the Earth, would we see them coming? Classic sci fi trope time. The air force detects a fleet of alien spacecraft out past Jupiter, leaving enough time to panic and demonstrate what awful monsters we truly are before they come ring our bell. Is that how this would work? Imagine a pivotal scene in your favorite alien mega disaster movie. Like the one where the gigantic alien ships appear over London, Washington, Tokyo, and Paris and shoots its light-explody ray, obliterating a montage of iconic buildings. Demonstrating how our landmark construction technology is nothing against their superior firepower. What could we do? We’re merely meat muppets with pitiful silicon based technology. How could we ever hope to detect these aliens with their stealth spacecraft and 3rd stage guild navigators? If we’re going to do this, I’m going to make up some rules. If you don’t like my rules, go get your own show and then you can have your own rules. Alternately, as some of you are clearly aware, you can rail against the Guide To Space in the comments below. Dune reference notwithstanding, I’m going to assume that aliens live in our Universe and obey the laws of physics as we understand them. And I know you’re going to say, what if they use physics we haven’t discovered yet? Then just pause this video and get that out of your system. You can make that your first decree against the state right in the comments below. As I was saying, physical aliens, physical universe. We’ll discuss the metaphysical aliens in a magic universe in a future video. The ones that have crystals and can heal your liver through the power of song. A basic rule of the Universe is that you can’t go faster than the speed of light. So I’m going to have any aliens trying to attack us traveling at sublight speeds. So, we’ll say they’ve got access to a giant mountain of power. They can afford to travel at 10% the speed of light, which means before they get to us, they have to slow down. At this speed, deceleration is expensive. We’d see the energy signature from their brakes long before they even reached Earth. Let’s say they’re passing the orbit of the dwarf planet Pluto, which is 4 light-hours away. Since they’re travelling at 10% the speed of light, we’d have about 40 hours to scramble jet fighters, get those tanks out onto the streets and round up Will Smith, Jeff Goldblum and Bruce Willis to hide behind. Would we even notice? Maybe, or maybe not. A growing trend in astronomy is scanning the sky on a regular basis, looking for changes. Changes like supernova explosions, asteroids and comets zipping past, and pulsating variable stars. One of the most exciting new observatories under construction is the Large Synoptic Survey Telescope in Chile. Once it begins regular operations in 2022, this array of telescopes will photograph the entire sky in fairly high resolution every few nights. Computers will process the torrent of data coming from the observatory and search for anything that changes. What if they engage their cloak? Actually (push glasses up your nose) the laws of physics say that the aliens can’t hide the waste heat from whatever space drive they’re using. We’re actually pretty good at detecting heat with our infrared telescopes. A space drive decelerating a city-sized alien spacecraft from a significant portion of the speed of light would shed a mountain of heat, and that’s all heat we might detect. Astronomers have been searching for alien civilizations by looking for waste heat generated by Dyson spheres encapsulating entire stars or even all the stars in a galaxy. Nothing’s turned up yet. Which I for one, find a little suspicious. If you’re from an alien race who’s planning to invade. Cover your ears. If aliens wanted to catch us off guard, they can use one of the oldest tricks in the aerial combat book, known as the Dicta Boelcke. They can fly at us using the Sun as camouflage. A rather large portion of the sky is completely obscured by that glowing ball of fiery plasma. It worked in WW1, and it’ll still work now. Okay, aliens you can listen in again. Everyone else might want to mute the next part, as it’s not terribly reassuring. 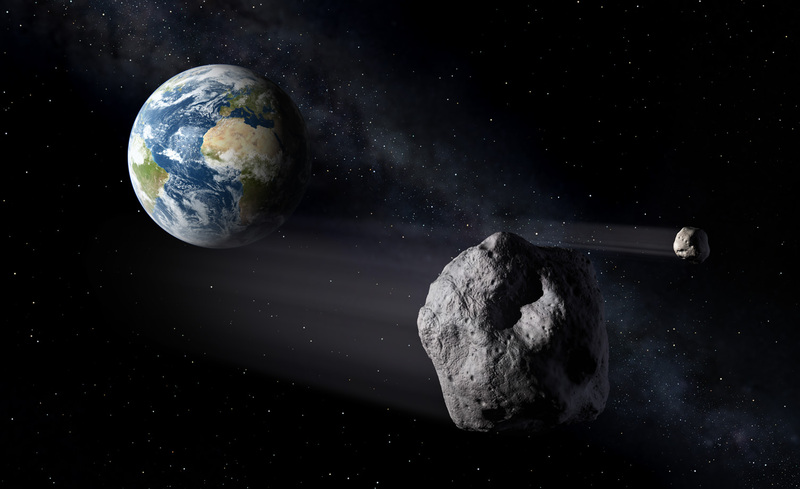 Astronomers often discover asteroids skimming by the Earth just after they’ve just gone past. That’s because they hurl at us from the Sun, just like clever aliens. To spot those asteroids, we’ll need to deploy a space-based sky survey that can watch the heavens from a different perspective than Earth. Plans for this kind of mission are actually in the works. Even with our rudimentary technology, we’d actually stand a pretty good chance of noticing the alien attack vessels before they actually arrived at centre of Sector 001. It’ll get better with automated observatories and space-based sky surveys. Of course, there’s little we can do if we did know the aliens were coming. We’d be best to start with some kind of deterrent, contaminate all our fresh water, load our livestock up on antibiotics and cover our cities in toxic smog to deter the harvesting of our citizens. Do you think we’d stand a chance against an alien invasion? Tell us how we’d do in the comments below. The world’s largest-ever digital camera has received the green light to move forward with development. The 3,200-megapixel camera for the Large Synoptic Survey Telescope (LSST) will snap the widest, deepest and fastest views of the night sky ever observed, providing unprecedented details of the Universe. Astronomers say the LSST will help uncover some of the biggest mysteries in astronomy. The SLAC National Accelerator Laboratory announced this week they have received key “Critical Decision 2” approval from the Department of Energy. A rendering of the LSST Camera with a cut away to show the inner workings. Credit: LSST. The camera itself will be the size of a small car and weigh more than 3 tons. It will be able to take up to 800 panoramic images each night and can cover the sky twice each week. Researchers say it will have the ability to reach faint objects twenty times faster than currently possible over the entire visible sky. Scientists anticipate LSST will generate 6 million gigabytes of data per year. The unique LSST M1/M3 mirror surfaces being carefully polished. Credit: E. Acosta / LSST Corporation. The telescope will have an 8.4-meter-diameter primary mirror that has an integrated 5-meter-diameter tertiary mirror. This mirror has already been fabricated at the University of Arizona’s Mirror Lab. The outer ring serves as the first mirror, and is called M1. Another more steeply curved mirror, M3, is carved out of the center. It has a 3-degree field of view. LSST will be taking digital images of the entire visible southern sky every few nights from atop the Cerro Pachón mountain in Chile. Amateur and armchair astronomers will be happy to know that data from the LSST will be shared publicly and become available quickly via the internet. Researchers involved are planning to involve the public, including students, by using portals like Google Sky or World Wide Telescope, as well as developing research projects that can be done by students in classroom settings, and the public at home and at settings like science museums. They also hope to utilize citizen science projects like Cosmoquest and Galaxy Zoo. With the latest approval from the DOE, the LSST team can now move forward with the development of the camera. There will be a “Critical Decision 3” review process next summer, which will be the last requirement before actual fabrication of the camera can begin. Components of the camera will be built by an international collaboration of labs and universities.